AFTER dropping their children off to school, a couple returned home to find their beloved property burnt to the ground. A firefighter described the damage to the Howard home at King St as a "total loss" after a wild blaze ripped through the two storey building on Friday. Family friend Kristen Dinan, who described the event as "devastating", arrived at the heartbreaking scene before the owners and could not believe her eyes. "If you knew what the house looked like before this, it is really unbelievable," Ms Dinan said. "I'm devastated for them and their kids, (they have) six kids." Emergency services were alerted by a triple-0 call about 9am, with five fire crews promptly rushing to the scene. The second-storey of the home was reduced to rubble and smoke continued steaming out for hours. The mother of the family is described as an enthusiastic home decorator who loved renovating and improving the home. 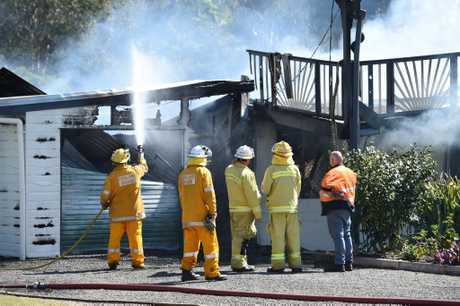 Queensland Fire and Rescue Service acting area commander Andrew Madders said the fire started from the garage from the left-hand side of the house. "There's no indication of what started the fire, it will be under investigation," Mr Madders said. Despite the destruction of the family's personal belongings, Mr Madders said it was a "good outcome" in terms that "no one was home at the time so no one was injured in the fire." "Fires like this highlight the importance of having a smoke alarm in the house," he said. "If there were people home, the smoke alarm would activate and the people could evacuate in a timely manner." The family from the quiet Howard street had two cats. It is unsure if the pets survived, but the house was locked during the time of the disaster. The smoke was put out about noon, and crews left about 1pm. UPDATE: A HOWARD mother has returned from dropping her kids at school to find her second-storey home completely gutted by flames. What still stands of the home is unsalvageable with the second-storey reduced to rubble. Fire crews are still on the scene frantically working to contain plumes of smoke. A friend of the family, who wished to remain anonymous, said the woman loved renovating. 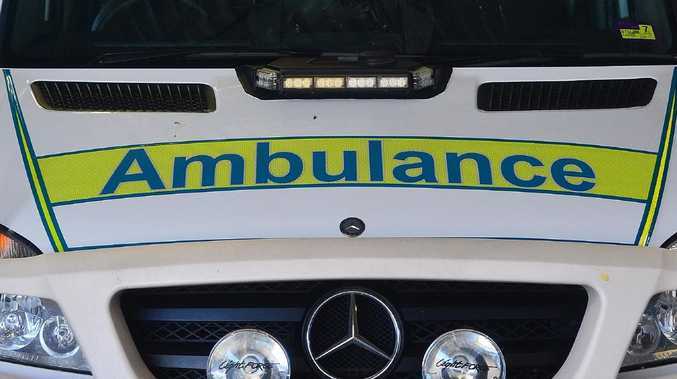 EARLIER 9AM: RURAL and urban fire crews have been called to a house fire in Howard. Queensland Fire and Emergency Services got the call that smoke was coming from a house on King St just before 9am. The fire was described as being well ablaze. Rural crews were first on scene. Four urban crews have been sent to the scene.